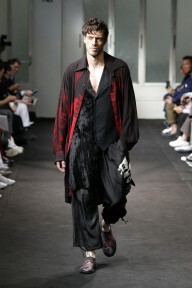 “I wanted to go beyond streetwear, to find a new form of sophistication, to place value on design and craftsmanship. 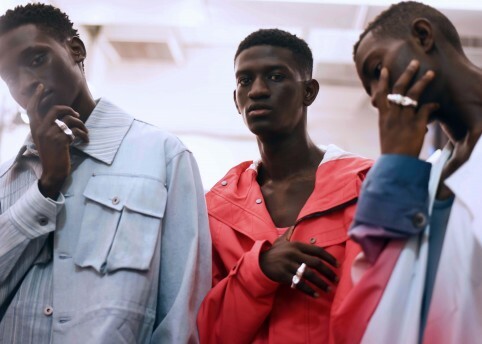 I wanted to rediscover a more intimate form of luxury,” explained Lucas Ossendrijver, the artistic director of Lanvin menswear, after his SS19 show. 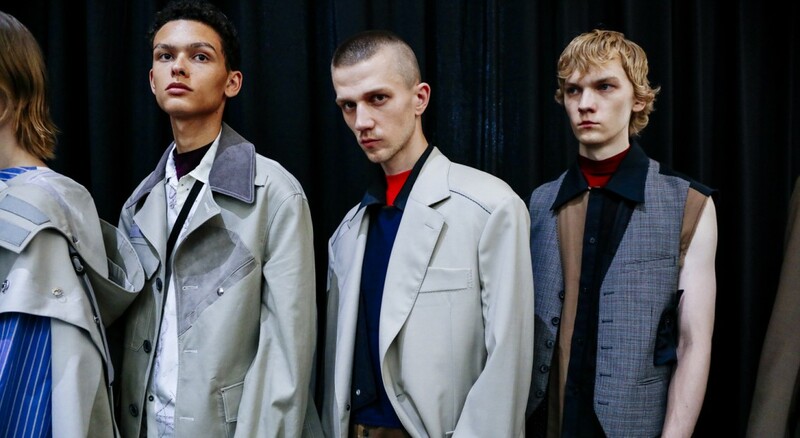 The carousel of creative directors at Lanvin womenswear continues to turn, but Ossendrijver’s twelve-year tenure has held remarkably steady. 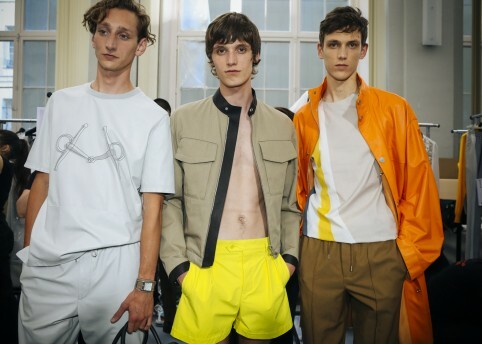 This season saw him turning over a new leaf: instead of his signature ripped and crumpled take on tailoring, he explored unusual proportions. There were blazers swung around the thighs, and the hems moved up and down in a way that was almost rhythmic. 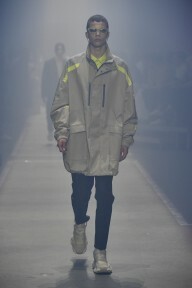 It was presented deep in the concrete bowels of Paris’ Palais de Tokyo, with models storming down the moody, low-lit runway in tailoring that had a sinister edge. 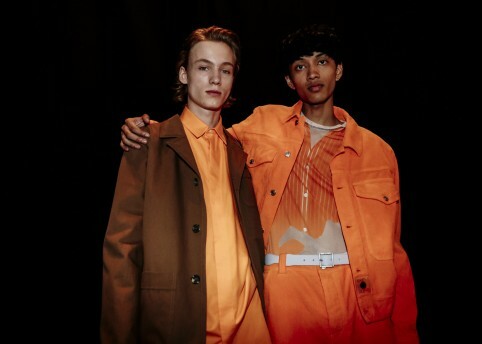 As Ossendrijver himself noted, too often streetwear and tailoring are understood as sitting at opposite poles: why shouldn’t we mix them up? 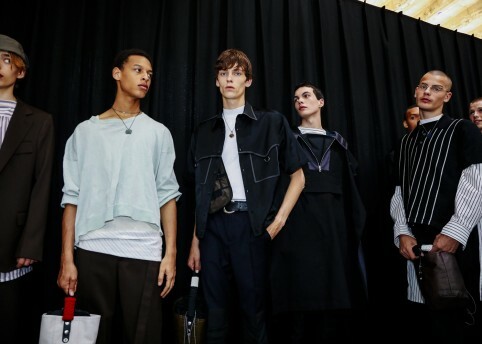 In keeping with his celebration of hybrid clothing, plenty of the pieces could be repurposed: mesh utility vests came perfectly tailored and fabrics overlapped to create new shapes and formations. 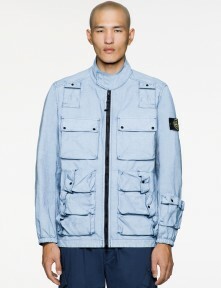 The outerwear in particular was moving in a new direction, but still very covetable. 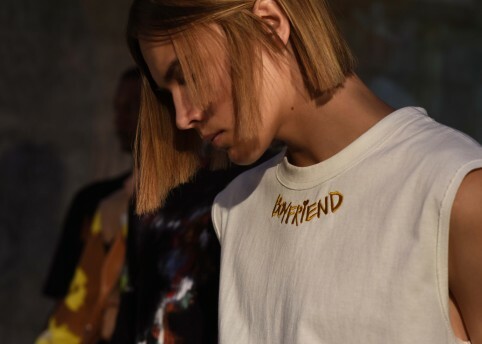 Ossendrijver might be marking a new step in his creative journey at Lanvin, but he hasn’t lost any of the commercial nous that has guaranteed his longevity.